Monday again! How was your weekend? 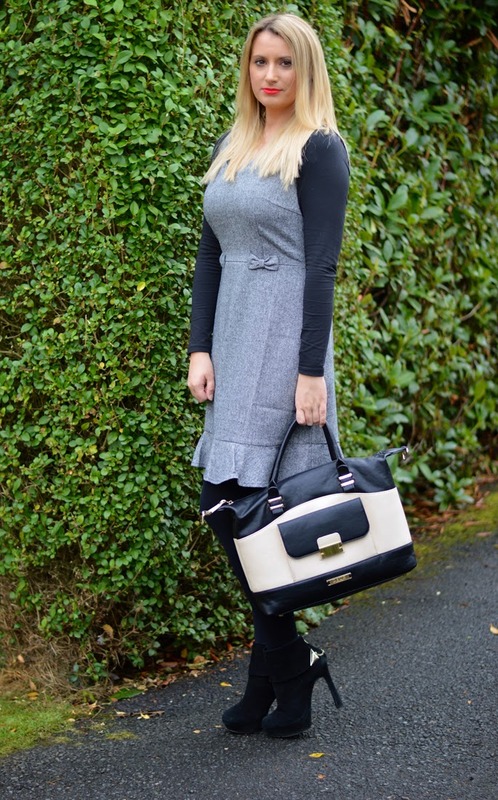 The lovely folks over at Sugarhill Boutique and LYDC sent me over this gorgeous grey pinafore dress and black/white envelope bag. I thought it was the perfect opportunity to put together something with a business style and what I would wear for a day in the office. 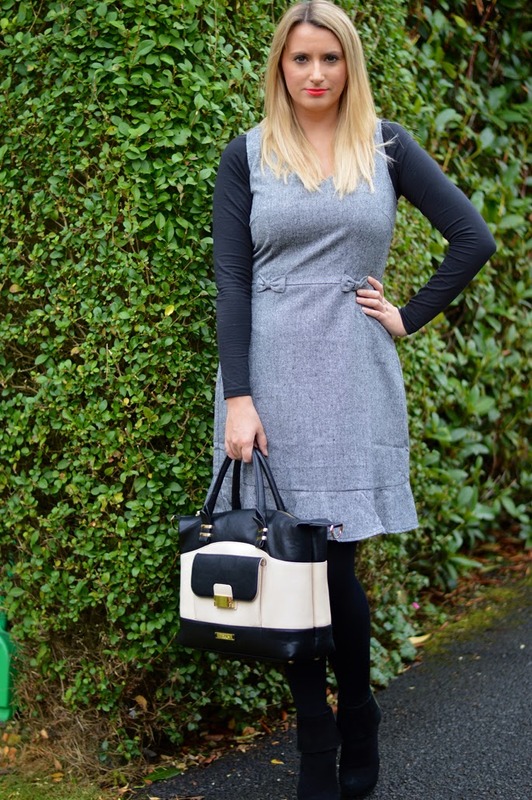 I love pinafore dresses because they can be worn during the autumn months with a long sleeved top and on their own during the warmer months. Their great for a business-esque look and teamed with a pair of heels and a great bag equals business chic ... Have a great day!! Once you get a minute, click on the links below to check both stores out. 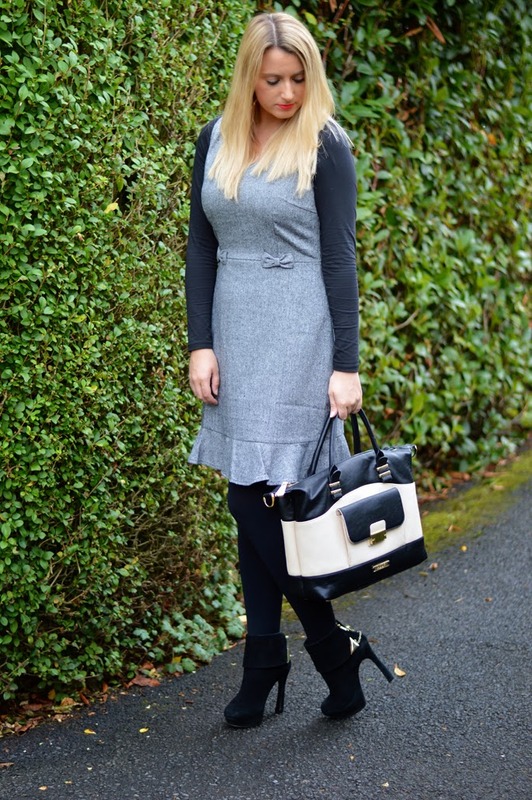 What a perfect fall outfit! I just bought some opaque leggings today so I can bust out my skirts and boots all winter while still being warm. I love the orange lipstick! That dress is so stinking cute! The hemline and the bows make the dress that would be adorable on it's own, that much cuter! Plus, it fits you perfectly! I love grey for fall and this jumper is perfect, love the material and the bow accents. 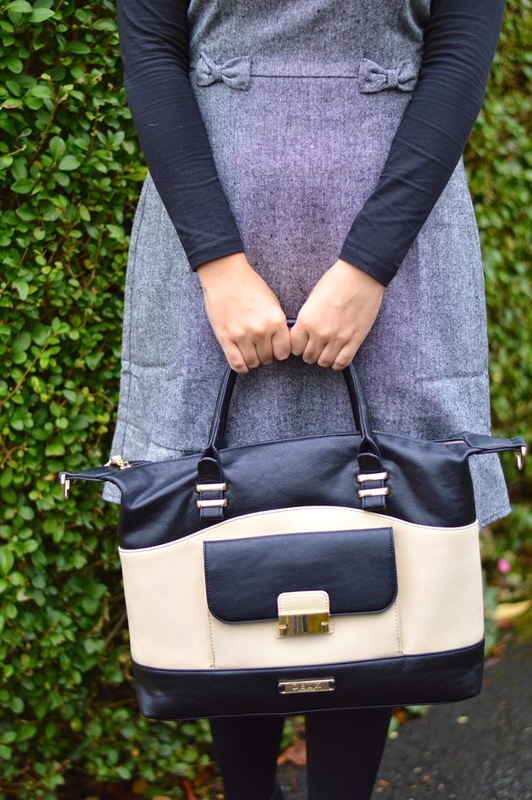 The black tights with the booties make for a great fall look, and cute bag!! i love this. you don't see many pinofores these days. I love how you've styled it with a long sleeve top underneath. Gorgeous oversized bag. You look great!